The Interlace Condo 8 hectare site is bounded by Alexandra Road and Depot Road, stretching from Telok Blangah and Mount Faber Park to Kent Ridge, also known as the Southern Ridges. It's location is centralised to access major areas of activities with ease. It is close to Nature Parks like Mount Faber and Labrador Park, Mega-malls like Vivo City at the Harbour Front, Resort World in Sentosa and Offices in the Central Business District. 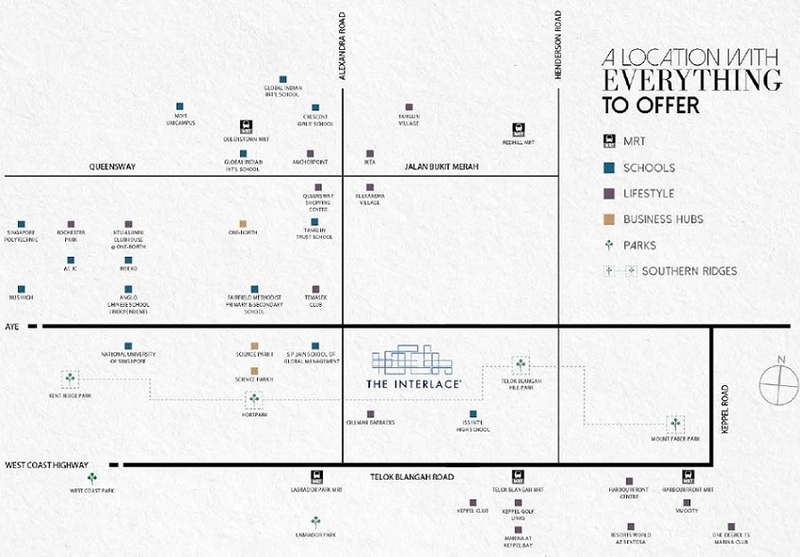 The Interlace is predominantly a prime site in a prime location offering easy connectivity to the things that matter most.